Some days my verbal expression abilities seem to take a vacation. I don’t take leave of my senses, they take leave of me. Instead of making things clearer, my words make conversations more … convoluteder. This weekend seems to be such a vacation. When I tried to explain a concept to my son for a homework assignment, I couldn’t find the words I wanted and he just got more confused. When I tried to discuss a financial matter with my husband, he kept telling me I’m repeating my points, yet he didn’t seem to grasp what I was attempting to say. I had a discussion with a sibling and thought we’d agreed, then learned we hadn’t understood each other at all. When I tried to clarify things, I made them more muddled. I ended up with a headache and a load of frustration without accomplishing anything I attempted to achieve. I know miscommunication is a normal part of family life. This could just be One of Those Days. However, when living with cognitive side effects of cancer treatment plus the very real possibility of brain metastases, such events are difficult to brush aside. Unpleasant realities pester my thoughts: Is it obvious to everyone that my brain isn’t working as well as it used to? Is this a typical family snafu, or has my reasoning eroded further? Is this just chemobrain, or a return of my cancer? Is this headache due to the communication problems, or a new tumor? Having someone explain to me that I just wasn’t making sense only makes me feel worse. If I’m having this much trouble expressing myself now, what will it be like when my cancer DOES progress and meds/reduced oxygen/pain REALLY impact my ability to communicate? Besides the frustration, the hurt feelings make for a less than perfect day. The clouded mood takes the wind out of my creative sails. I lose all interest in working on projects or interacting with people, and just want to watch TV or play games on the PC. Good thing today is the 50th Anniversary of Doctor Who, a well-written science fiction series. There’s a marathon of episodes all weekend. I can dream of how I’d use a Tardis time machine in the war on cancer. 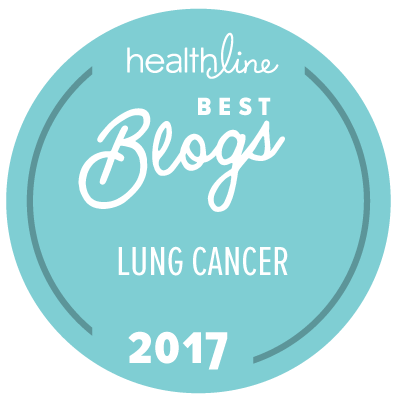 This entry was posted in Lung Cancer and tagged miscommunication. Bookmark the permalink. I am so sorry this is happening to you, Janet. Hopefully it is chemo brain. I have the same fear, even though the MRI showed no tumors in the brain. I know eventually they will be there. But in the meantime, I try to squash those fears and tell myself – not yet. You give voice to one of my fears, and you do it so eloquently. In fact, that eloquence may be testament to your LACK of a bigger problem! I know the feeling, though. I definitely miss being able to juggle a dozen tasks at once. My husband is showing these signs and he has several tiny brain mets held at bay by Tarceva for now. He’s in a professional practice and the other partners have become cruel expecting he will just walk away. He enjoys keeping busy in his work and won’t let go. I’m wondering if anyone is trying namenda and with what results. I hear you … I’ve had the same thing happen (chemo brain…) I say…whats the word that means…..? I’m aware of a word’s existence that I cannot call to mind!!! The war on words and the knowledge that my brain is letting me down….it’s very sad. It’s that word when your heart is sad ….